If you are looking for faster weight loss without the need to exercise, you could opt for HCG injection diet which allows you to eat only 500 calories per day. Although experts strongly advice against following such drastic diets, customers report great results from following the diet. One of the dangers of such low restrictive dieting is the loss of muscle mass. However, according to the proponents of the hcg weight loss diet, the hcg hormone that is found in pregnant women, maintains a certain body mass regardless of calories consumed and calories spent, signaling the brain to burn fat for energy when the calorie intake in less than a critical value, which in this case is 500 calories. There can be several dangers of injecting a pregnancy hormone for weight loss or muscle growth. In females, HCG injection can over stimulate ovaries, increase chances of getting pregnant and multiple births as the ovaries may produce more than one egg. In men, HCG fat burning injections can result in the enlargement of breasts and prostate glands due to the increase of estrogen levels in the body. 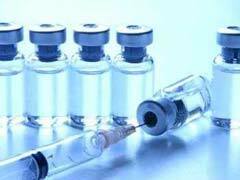 Injecting a non-sterile HCG injection into the body can increase risk of several dangers such as HIV and Hepatitis. Several brands sell HCG weight management products online or in pharmacy. There is no way to know if these products contain the real hormone. Also, some products can be contaminated, which can increase the risk of infections. Some of common reported HCG injections side effects include low energy levels, dizziness, stomach pain, fatigue, nausea, acne and hair loss. If you don’t want to follow the restricted HCG injection diet, then you could opt for fat burning weight loss supplements that can provide you with energy and boost your metabolism naturally. These pills, however, require you to follow a healthy diet and an exercise plan for producing good results. L-carnitine weight loss supplements are popular among diet pills as l-carnitine is shown to increase energy levels for exercise and physical activity, increase fat burning and energy production in the body. Be sure to consult a doctor before taking any supplements or injections for weight loss.